A new strategy game has been launched via Kickstarter this week by Sinister Fish Games and takes the form of Villagers which offers a card drafting and village building game for one to 5 players to enjoy. “Draft and build a tableau of villagers to create the most prosperous village”. Learn more about the compact game in the demonstration video below. Villagers is now available to back with pledges available from £22 for the standard game or £30 if you would prefer wooden coins. Gameplay lasts from 30 to 60 minutes and anyone over the age of 10 can be expected to learn the gameplay. 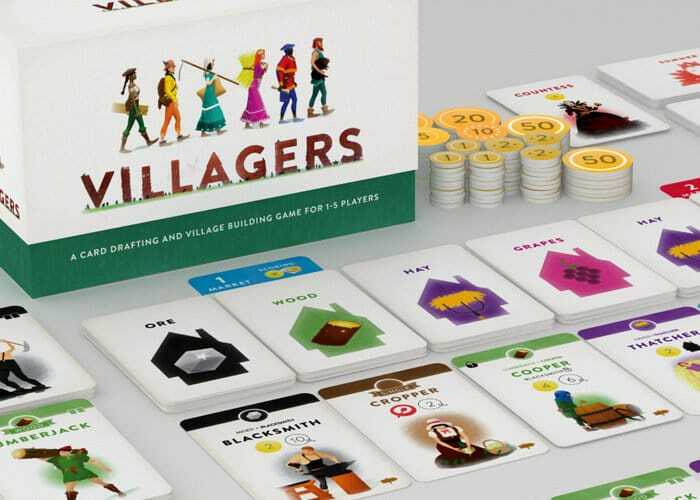 Designed and illustrated by Haakon Gaarder, Villagers is a game of card drafting and village building set somewhere very much like medieval Europe. To learn more about the game which also includes a solo mode, during which you take on the role of a lone village that must prosper against the machinations of the very ill-tempered Countess, jump over to the official Kickstarter campaign page by following the link below.